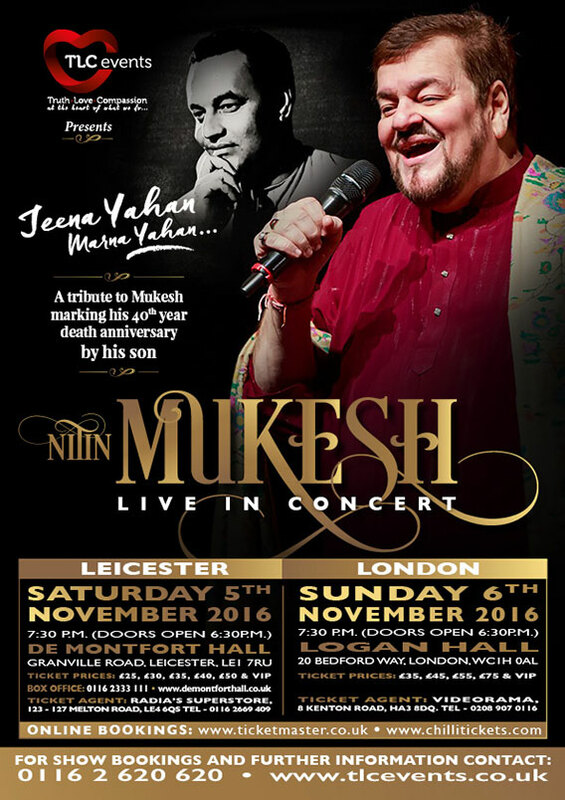 A tribute to Mukesh marking the 40th anniversary of his death by his son Nitin Mukesh live in concert. Like the above song, Mukesh, the emperor of melancholy songs, devoted his life to music. His distinct voice made him one of the most popular and legendary singers of his era. Though he sang for many actors, Mukesh's association with Raj Kapoor, the greatest showman of Indian cinema, was the stuff legends are made of. Together they produced such musical gems which, almost four decades after his death, still arouse nostalgia. It is said that on hearing of Mukesh's sudden demise in 1976, Raj Kapoor said; "I have lost my voice." 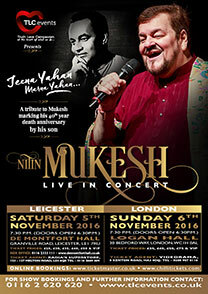 Mukesh's son - Nitin Mukesh - an established playback singer will pay homage to his father in this concert.